I started this series on February 20, 2018 to explore the IPAT identity. The last term within that identity that I have yet to cover includes the nature of the fossil fuels used. The popular perception is that use of coal is down while use of natural gas has risen. This blog examines this issue with the same set of countries that I have studied in the last few blogs. As before, I am using statistical data from British Petroleum (BP). I will end this blog by citing BP’s short summary of how it views the nature of the energy transition that we are undergoing. Next week I will conclude this series by using graphics from different sources to demonstrate the trends expressed in this series. I will also add BP’s regional summary of trends, including those within Africa, China and the US. 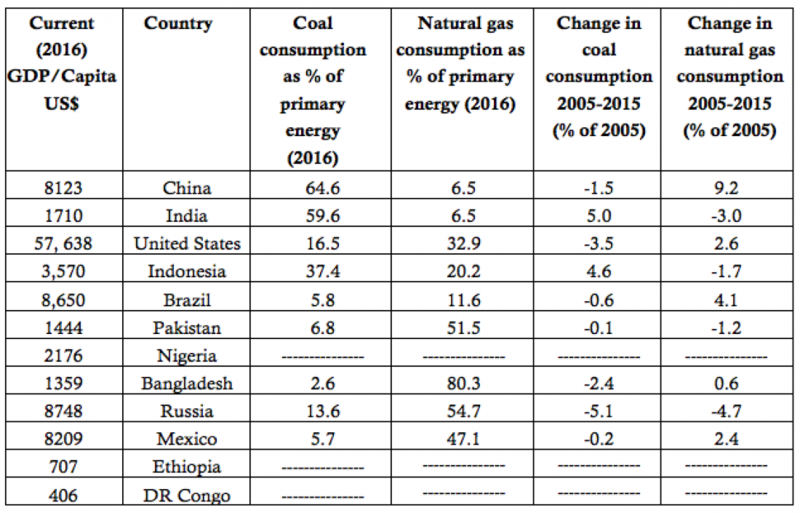 Table 1 illustrates trends in the use of coal and natural gas by the world’s twelve most populous countries (whose combined populations account for more than half the global total and the full spectrum of economic development). Table 2 includes the five much smaller, developed countries that we have used throughout this series as examples of sovereign states farther along in their energy transitions. Global coal consumption flat lines with Chinese coal consumption seeming increasingly likely to have plateaued. The number of electric cars grows to around 15% of the cars, but because of the much higher intensity with which they are used, account for 30% of passenger vehicle kilometers. Carbon emissions continue to rise, signaling the need for a comprehensive set of actions to achieve a decisive break from the past. Extending the Energy Outlook by five years to 2040, compared with previous editions, highlights several key trends. For example, in the ET scenario, there are nearly 190 million electric cars by 2035, higher than the base case in last year’s Outlook of 100 million. The stock of electric cars is projected to increase by a further 130 million in the subsequent five years, reaching around 320 million by 2040. Another trend that comes into sharper focus by moving out to 2040 is the shift from China to India as the primary driver of global energy demand. The progressively smaller increments in China’s energy demand – as its economic growth slows and energy intensity declines – contrasts with the continuing growth in India, such that between 2035 and 2040, India’s demand growth is more than 2.5 times that of China, representing more than a third of the global increase. You can compare the BP Energy Outlook with the data in the last four blogs. This entry was posted in Anthropocene, Anthropogenic, Climate Change, Sustainability and tagged Adaptation, Africa, Anthropocene, Anthropogenic, Bangladesh, BP, Brazil, Carbon, carbon emission, China, Clean Energy, Climate Change, Climate Change Denial, Climate Change Deniers, Climate Skeptics, CO2 emissions, Coal, Congo, consumption, Denmark, developed, developing, Economics, electric car, Electricity, Emissions, Energy, energy demand, energy mix, energy transition, Environment, Ethiopia, Finland, fossil fuel, Fossil Fuels, fracking, Future, Gas, GDP, Global Population, Global Warming, greenhouse gas, India, indicator, Indonesia, IPAT, Mexico, Mitigation, Natural Gas, New Zealand, Nigeria, Norway, outlook, Pakistan, Physics, Population, Power, Power Plants, primary energy, Russia, scenario, Science, Solar Energy, Sustainability, Sweden, Technology, US, World, World Population. Bookmark the permalink. Not many people are familiar with this, but there is a hypothesis proposed by Thomas Gold (Gold’s Hypothesis) which states that things like oil, gas, coal, pear, anthracite, shale oil, etc are NOT really “fossil” fuels! He claims that these fuels were formed with the Earth itself when the earth was formed! As supporting evidence, he states that numerous other planets (the Gas Giants) contain large amounts of methane, and that oil wells seem to refill themselves years after all their oil was tapped! He says oil can often be found in areas with igneous rock rather than sedimentary rock! In addition, he notes that the Carbon isotope signatures of oil and coal samples contain isotopes that are rarely found in derivatives of organic matter from previous life. He also gives other examples of supporting evidence for this hypothesis. So when we talk about climate change as a result of burning “fossil” fuels, if his hypothesis is valid, we might have to remove the “fossil” segment and just talk about burning “fuels”!